Built in filtration is better! 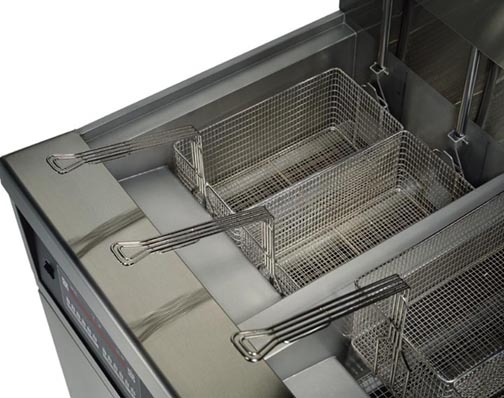 A specially-designed vat lets Henny Penny 340 Series large capacity open fryers strike the optimum balance between frying surface area and equipment footprint. 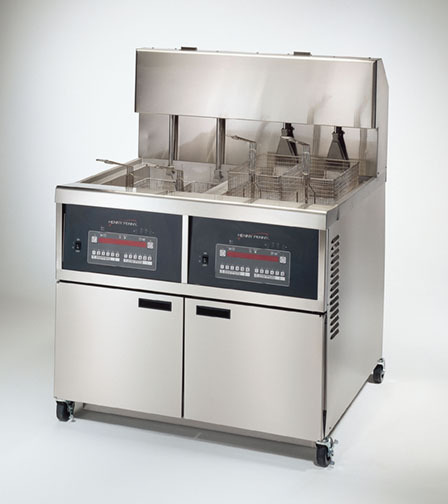 The 340 Series features a wider, shallower fry vat that maximizes surface area to volume for more consistent frying results with items that float while cooking. Powerful, efficient heating elements and burner technology mean extremely reliable production, with higher throughput, lower energy costs and longer frying oil life. Built-in filtration makes it fast, convenient and safer to keep oil fresh and product quality at its highest. 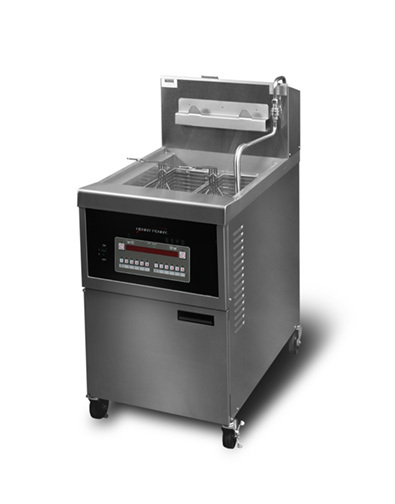 If you have a whole lot of crispy chicken, wings, poppers and veggies to do, take a close look at the powerful 340 Series. 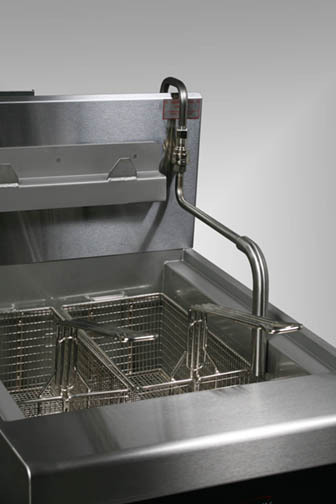 Wider, shallower vat maximizes frying surface area for more even cooking. Cold zone below heating elements helps extend oil life. Built-in filtration keeps oil fresh, improves productivity. Filtration system flushes remnants using over-the-top oil return (non-auto lift models, only). OIL CAPACITY 80 lbs. 80 lbs. 75 lbs. WEIGHT 335 lbs. 250 lbs. 444 lbs. OIL CAPACITY 90 lbs. 80 lbs. 100 lbs. 70-100 lbs. WEIGHT 580 lbs. 297 lbs. 270 lbs. 251 lbs.